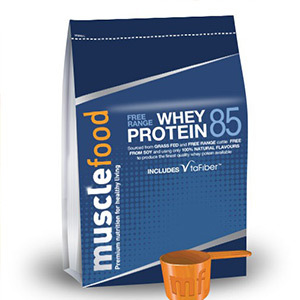 The before price is based on the current RRP for the items in the pack. 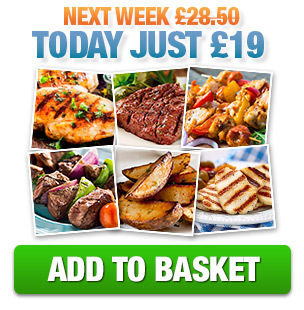 Next week this hamper will cost £28.50 - but this week you can enjoy our Ultimate Steak & Breast Hamper for just £19! 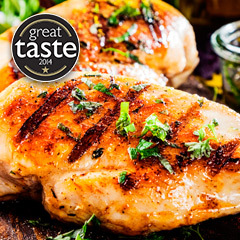 Our super fresh, super trimmed, Great Taste Award winning Premium Chicken Breasts marinated in Nando's Medium PERi PERi Rub for your eating pleasure! Two words… absolutely divine. From our prime Free Range, Grass Fed, Irish cattle - these beauties are hand cut from the feather blade, and marinated in Nando's BBQ PERi PERi Rub! One bite and you will be begging for more! 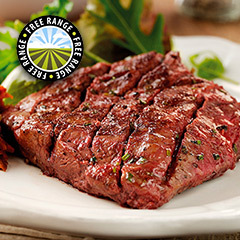 Just 100% Free Range, Grass Fed, Diced Steak marinated in Nando’s BBQ PERi PERi Rub - nothing more, nothing less. 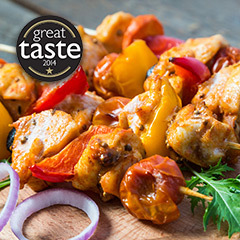 Pop veg on yourself and double the number of skewers you have! 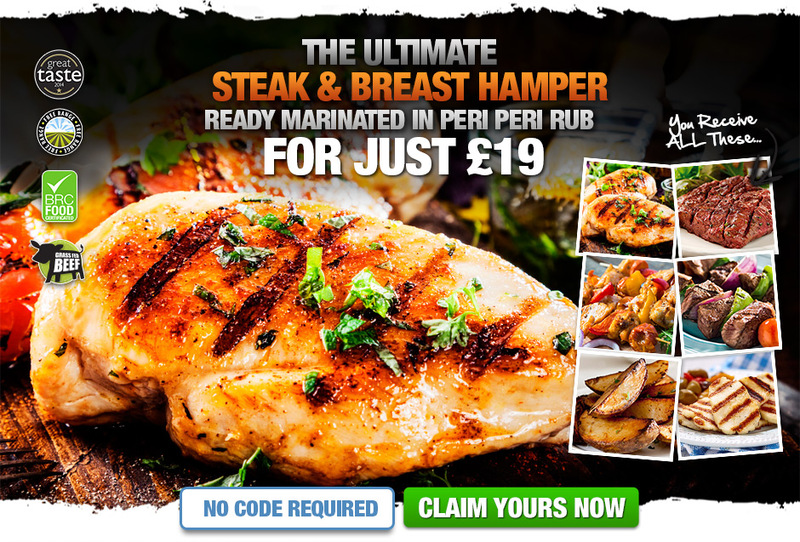 When you thought our whole Premium Chicken Breasts marinated in Nando’s PERi PERi seasoning couldn’t get any better… try them on skewers! 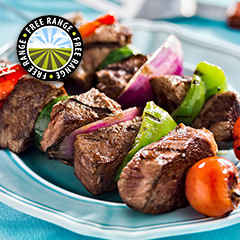 Ready diced and skewered for you - just add veg! 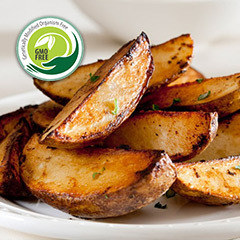 Our gorgeous Sweet Potatoes cut into perfectly portioned wedges for you to pop straight into the oven with your chicken - skin on for added goodness! Plus, they are GMO Free! 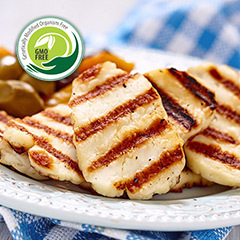 Lovingly made according to time honoured processes in Cyprus - our authentic Greek Halloumi tastes gorgeous grilled served with your steaks! And it is GMO Free! 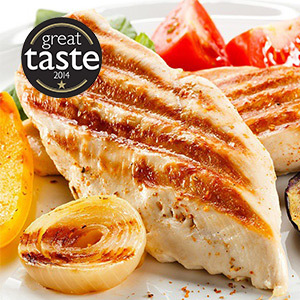 Unbelievably juicy, succulent and downright tasty, our barn-reared, extra lean fresh chicken breast fillets are a fridge must have! 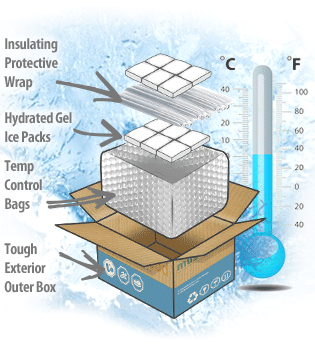 Each breast weighs in at an impressive 200-250g meaning you will receive 10-12 fillets per 2.5kg pack! 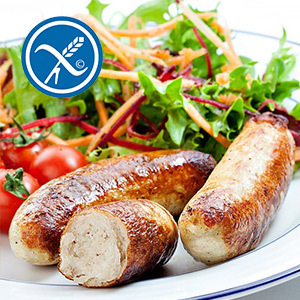 Made from 100% UK chicken breast meat, our expert butchers FRESHLY make your sausages to order, they are gourmet quality sausages. 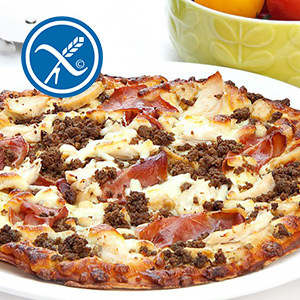 High Protein, Low Carb & Gluten Free Pizza. Each delicious pizza has an authentic stone baked base, rich Mediterranean style tomato sauce and is topped with mozzarella cheese, char grilled chicken, spicy beef & Serrano ham.